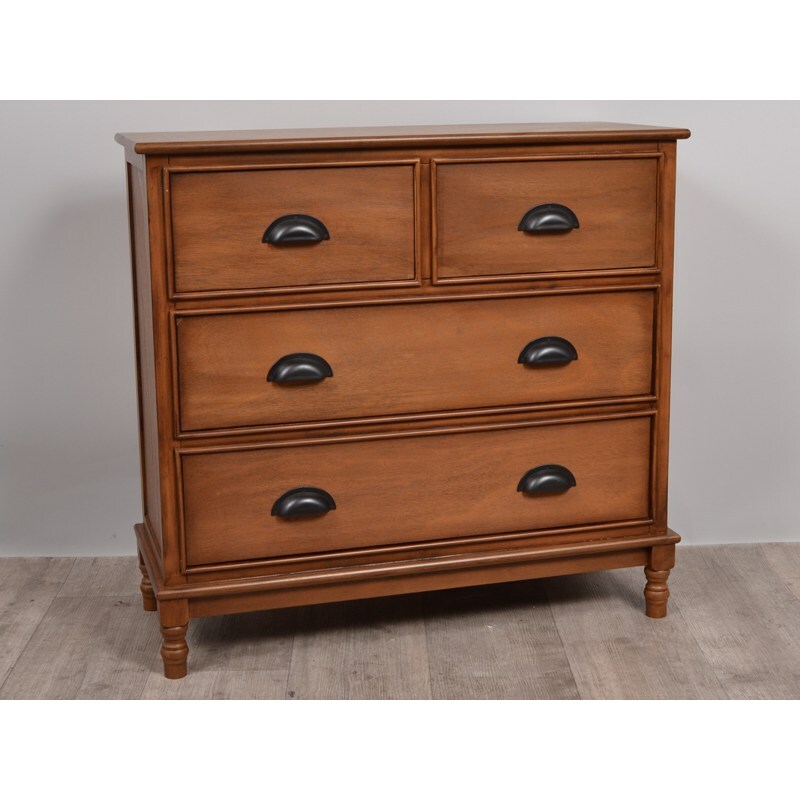 Here is the 4 drawers Atlas chest of drawers, a piece of furniture with plenty of storage ideal for your clothes and which will bring a natural touch to your interior decoration. 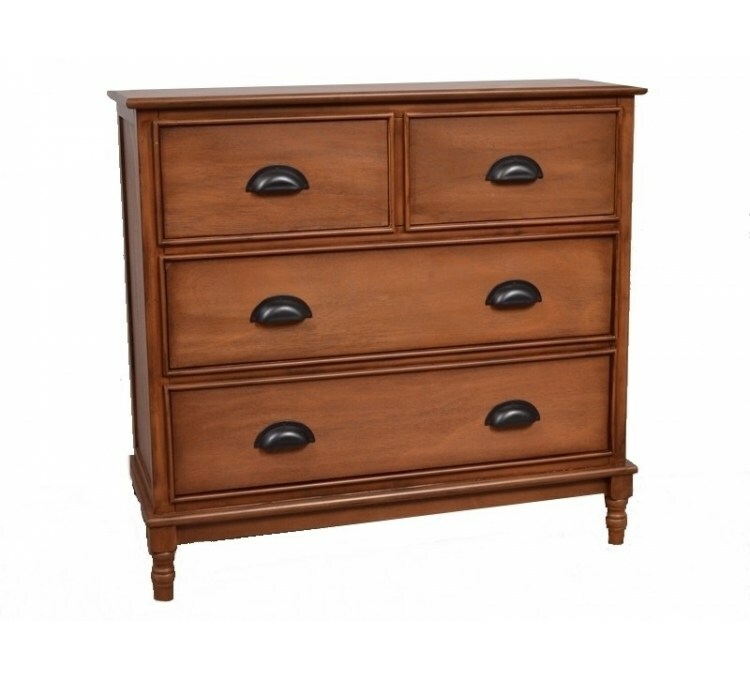 We offer the drawers Atlas 4 drawers, a storage cabinet with plenty of storage that will be ideal for storing and storing all your clothes, and other items. Its atypical solid wood design is ideal to give a natural and whimsical touch to your room. The drawers Atlas 4 drawers has dimensions of 80x75 cm, its compactness makes it very easy to install in your home. This furniture has a very aesthetic wood design that, with its beautiful brown color, can blend in the decoration of any of your rooms. 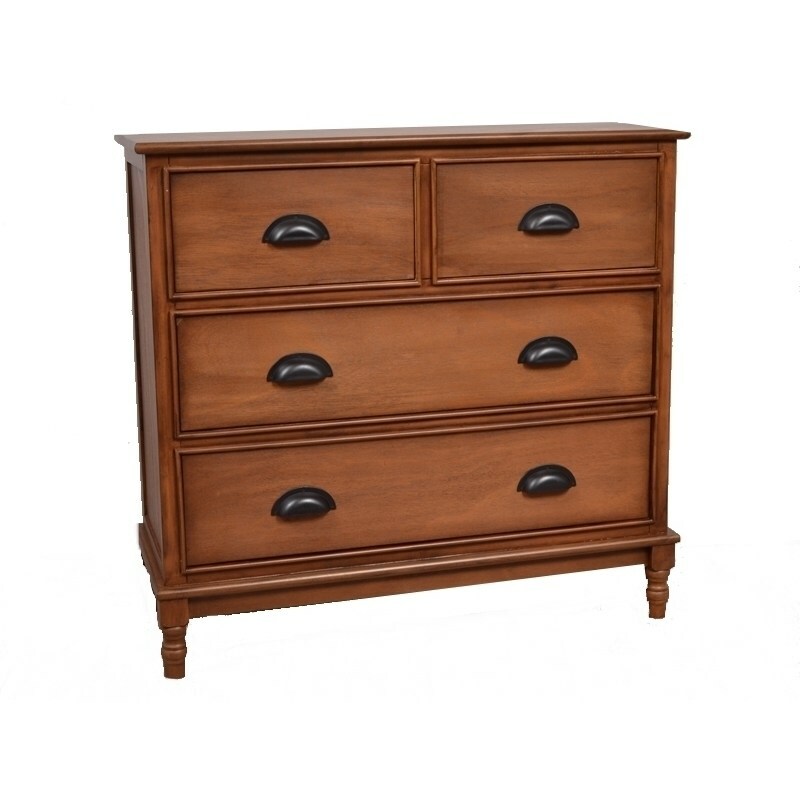 Its solid wood design gives it excellent strength and exceptional wear resistance. We recommend the use of a dry cloth to maintain it. The Atlas chest of drawers consists of 4 sliding drawers that can accommodate many clothes in an orderly manner. We use transportation partners to deliver our products and insure our merchandise 100%. The only thing we ask our customers is to check the condition of the pallet and its contents in the presence of the deliveryman before acceptance of the delivery. If you have any doubt, refuse delivery and notify specific reservations on the waybill, otherwise we can not be held responsible if the goods shows significant damage.